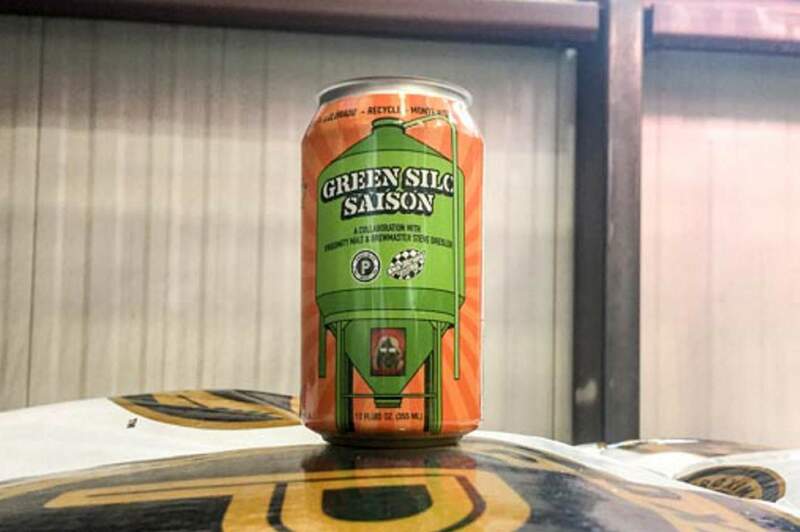 Ska Brewing Co.’s Green Silo Saison debuted Friday. The beer commemorates the partnership between Ska and Proximity Malt to build a silo at the brewery’s headquarters. Courtesy of Ska Brewing Co.
Ska Brewing Co.’s True Blonde Ale was recognized as a winner at the 2019 Good Food Awards on Friday at the San Francisco War Memorial & Performing Arts Center. The beer is a medium-bodied blonde ale crafted with Honeyville honey. True Blonde has been the recipient of four Great American Beer Festival medals and two World Beer Cup awards. Also on Friday, the brewery debuted its Green Silo Saison. A dark rye saison, the beer is named for Ska’s new green silo filled with Proximity Malt, and is available in limited 12-ounce canned 6-packs. Ska Brewing and Proximity Malt, a Milwaukee-based malt producer with a plant in Monte Vista, collaborated on the beer to recognize their partnership. “We wanted to think outside the box and showcase the spicy notes and characteristics of our chocolate rye with a brown saison,” said Dave Kuske, Proximity Malt’s VP of Operations, in a news release.